Never mind the cute Shiba Inu of dogecoin, people in Japan are falling for a new Internet meme-based cryptocurrency – the locally invented and cat-logoed ‘monacoin’. While it has only about a third the market cap of dogecoin, the scrypt-based monacoin held a 12th place ranking for the past week on Coinmarketcap and was in the top 10 on Cryptocoinrank with a market cap of $6.13m – despite estimates that 90% of its user base is located in Japan. Few other, if any, non-bitcoin cryptocurrencies have achieved this level of interest with such a geographic concentration of users. At least five online and physical stores, plus an auction site, now accept monacoin for payments and the currency is traded on five exchanges: three in Japan, China’s ybex and the BVI’s AllCoin.com. A monacoin tipping system, developed by a 17-year-old high school student, is also active. Monacoin’s 90-day price graph has started to look like a mini-version of bitcoin’s three-year chart: it has gone from a flatline value of around three yen (¥) through May and June, before rising in early July and shooting up to a high of ¥80 on 1st August. It has since fallen back to ¥44.6 with a market cap of $4.17m at press time (note: ¥1 equals roughly $0.01). Why the sudden dramatic rise and drop? Some interest can be attributed to the WBS TV network in Tokyo, which ran a report on its program ‘World Business Satellite’. Viewers said the report was generally positive in nature compared to Japanese mainstream television’s coverage of bitcoin, which tends to focus heavily on Mt. Gox and the Silk Road. The subsequent fall could be due to speculators seeing a bubble and dumping their holdings. At the price peak, those 32,001 MONA would have been worth $25,000. The success of the altcoin may also be the result of Japan’s desire to produce its own native version of everything, with information in its own language. For years, Japanese shunned Facebook to use the locally-developed social network Mixi. The only downside was it wasn’t open to anyone outside Japan. Apple products and even smartphones in general took slightly longer to take off in Japan, as locals were happy with the Internet-connected handsets they already had. This so-called ‘Galapagos effect’ in both technology and entertainment is almost inevitable when you’re an island country with 125 million people and a proprietary language. Add to this the fact that bitcoin’s documentation, developer materials, forums and most online information are written in English, and it’s easy to understand why some in Japan might also want to develop their own cryptocurrency. There is also plenty of information available in English, including a subreddit. Hida uses monacoin and, as well as his bitcoin advocacy activities, he and some friends formed the Monacoin Foundation. The foundation has so far promoted the use of the cryptocurrency in Japan by holding three information seminars in Tokyo and Osaka. Unlike bitcoin, however, monacoin’s lead developers are not members of the foundation. 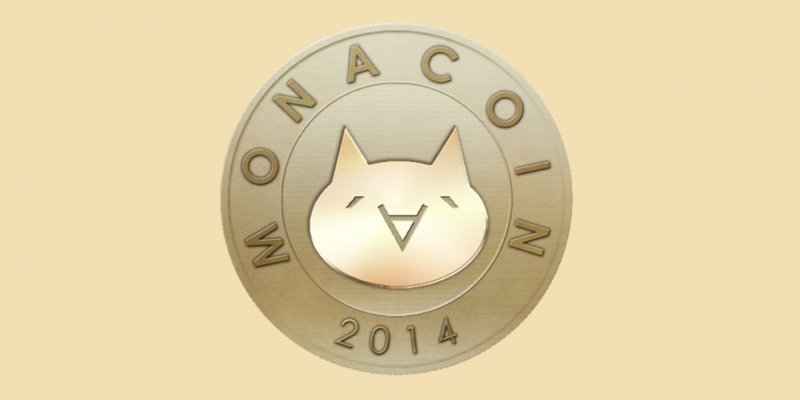 Monacoin was launched in December 2013 on Japan’s Internet mega-forum 2channel (‘ni-channeru‘). 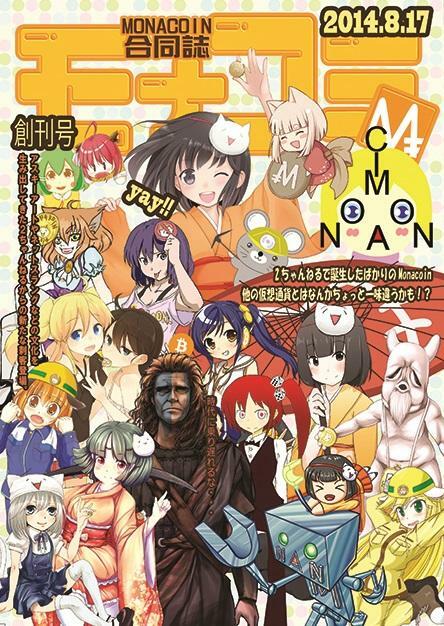 The capital of Japanese online culture, 2channel has over 600 active message boards covering nearly every topic of interest and is one of the more popular sites in the country. Introducing the altcoin on the forums was the pseudonymous ‘Mr Watanabe’, who has never revealed his real identity. That may sound familiar. Unlike the equally publicity-shy Satoshi Nakamoto, however, monacoin users are almost certain that Mr. Watanabe is Japanese. Monacoin is not intended to be a ‘national altcoin‘ in the spirit of Iceland’s Auroracoin and its many followers, and there is no ‘airdrop’ or handout planned so far. In his original forum post introducing monacoin, Mr Watanabe suggested the coin was a game, with the mission of the game to find its hashes. Just as games like Final Fantasy XIV and DragonQuest had their own proprietary currencies, monacoin would be the same. Monacoin is not supposed to be similar to securities, he continued, but more like points accrued to be spent only in the monacoin network. “I’m writing this clearly so there are no misunderstandings,” he said. Monacoin, Hida said, is a good match for Japan’s geek/gamer ‘otaku’ culture. 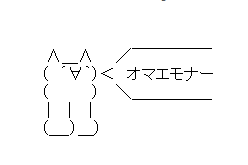 Its name and logo are based on ‘Mona’, a cat-like ASCII art character used on 2channel. Monacoin tips are popular with manga fans and creators. A Google image search for ‘monacoin’ uncovers a plethora of different monacoin memes, ‘monacoin-chan’ characters and mascots (as well as pictures of Monaco, which has probably missed a trick with the name should it ever decide to launch its own altcoin). This summer will see the launch of MonaComi, a manga comic based on monacoin which has so far collected 18,000 MONA in donations. Disclaimer: The author of this article lives in Japan but is not involved with the monacoin project or Foundation, and does not currently hold any monacoins.